Are you searching for a quality pre-owned luxury vehicle in the Portland, OR area? If so, then you should explore the excellent pre-owned luxury vehicle inventory available at Freeman Motor Company today! One of the best luxury automotive brands with vehicles in our pre-owned inventory is Porsche. 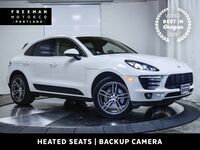 Porsche offers some of the very best luxury vehicles in the industry! 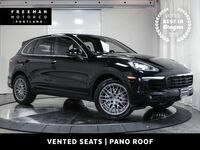 Porsche offers several tremendous luxury vehicle models ranging from sporty coupes and convertibles, to powerful sedans, to spacious crossovers and SUVs. 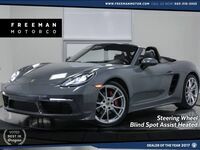 At Freeman Motor Company we feature many excellent pre-owned Porsche vehicles in our inventory. Let’s take a closer look at the excellent luxury vehicles Porsche has to offer customers together! If you are interested in exploring the pre-owned Porsche vehicles we have in our inventory, then you should contact our staff at Freeman Motor Company today! Our team is happy to answer any questions that you may have about our pre-owned Porsche inventory. Visit our dealership in Portland, OR to test drive a pre-owned Porsche vehicle with us today!